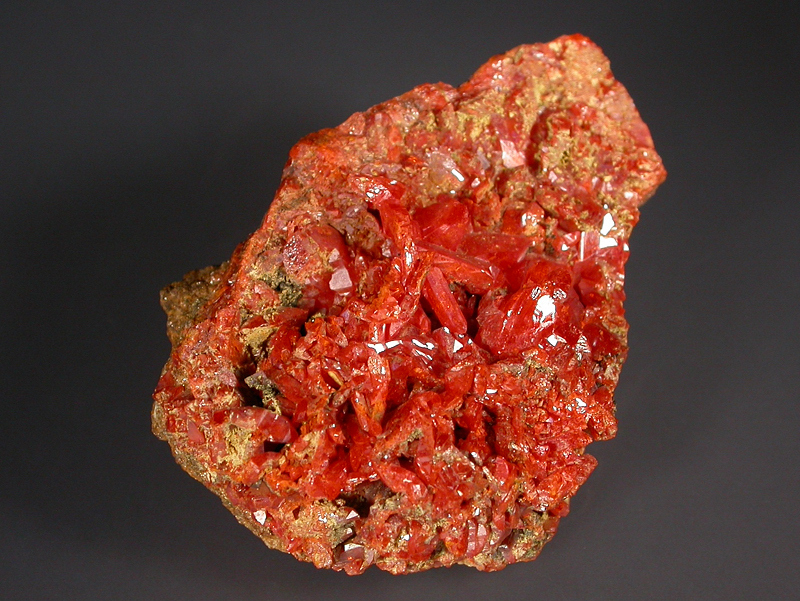 The top of the specimen is richly covered in vivid orange crocoite with the largest crystal reaching 7mm across. 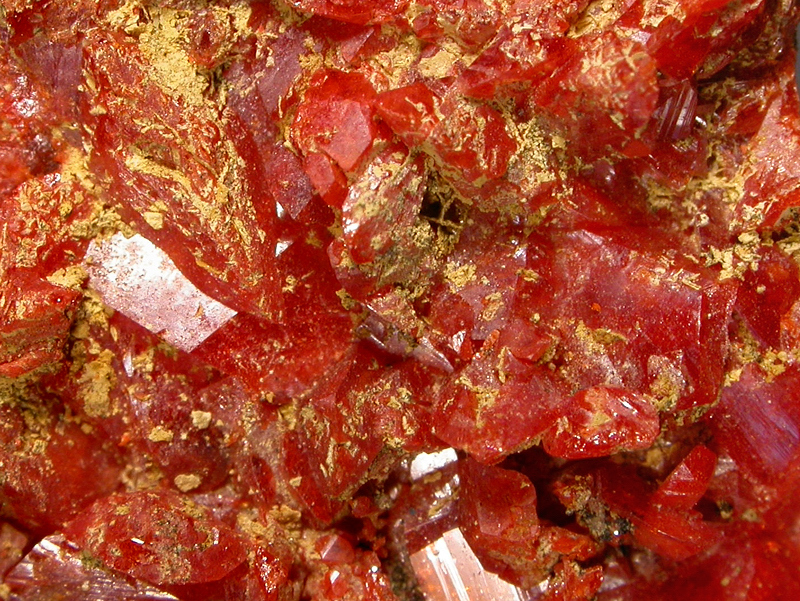 Much of the crocoite is partially coated in yellowish crusts of vauquelinite, a rare chromate-phosphate. 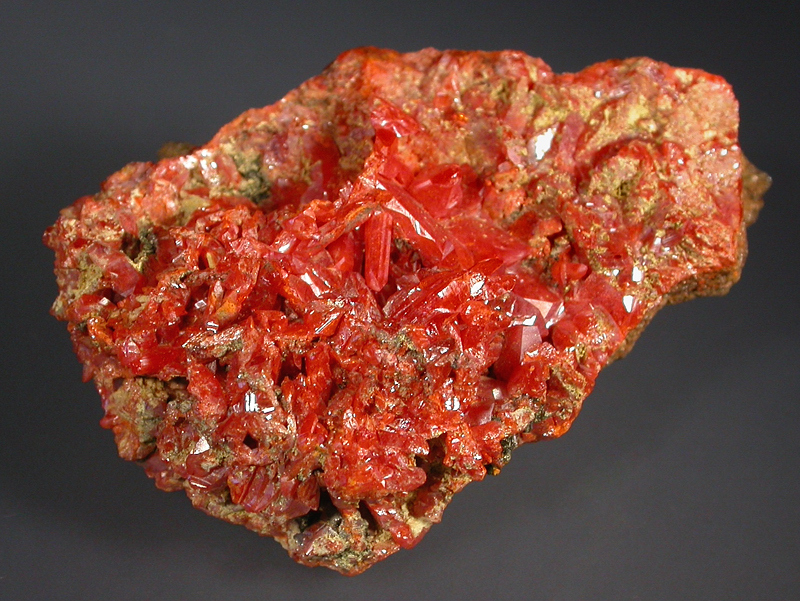 There are some contacted areas but many crocoite crystals are complete with excellent sharp crystal form. 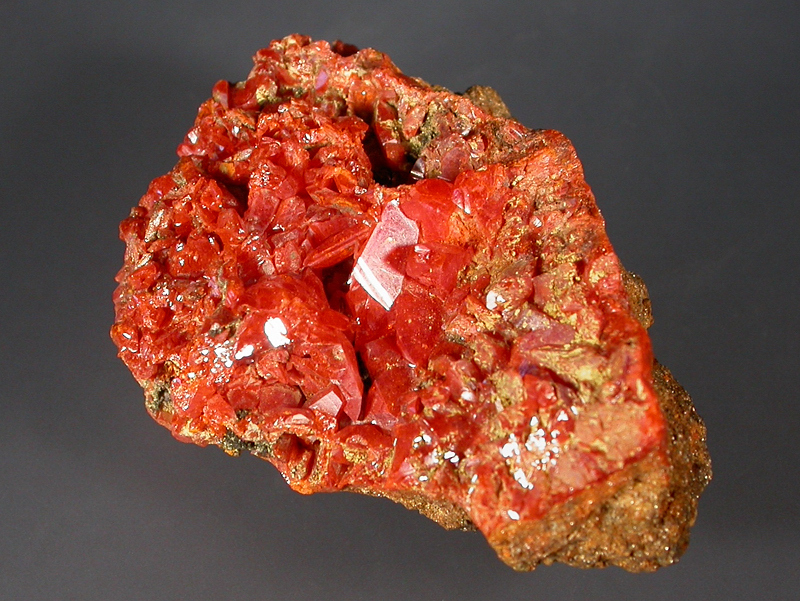 Wonderful rare specimen from the type locality for both species. Ex. 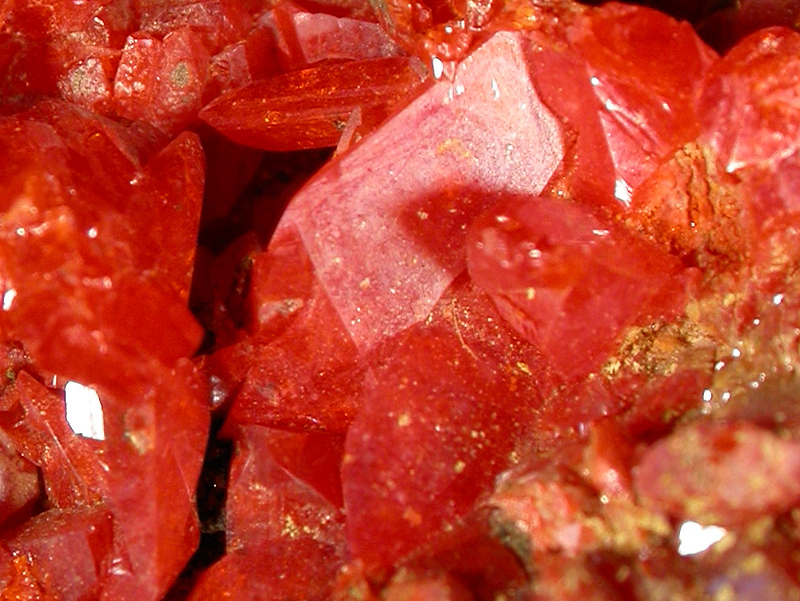 Mark Shathin collection, collected 1960s.